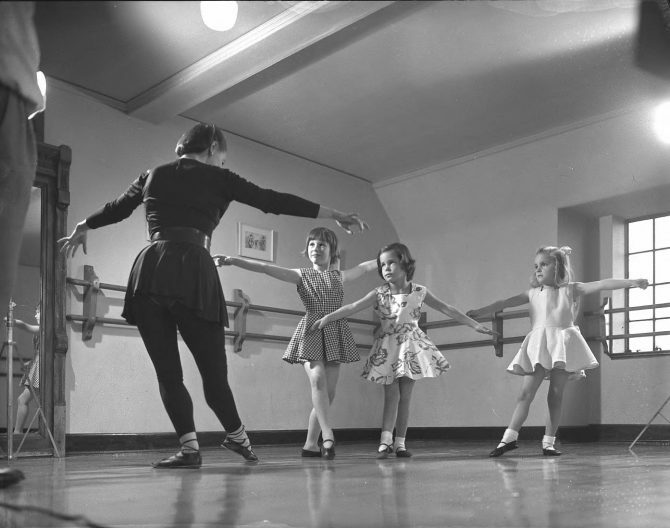 In October of 1951, three little ballerinas, (l to r) Betty Lou Lagerquist, Frances Finnigan and Marybeth Bare, practiced their curtseys under the knowing instruction of Nancy Jane Bare. 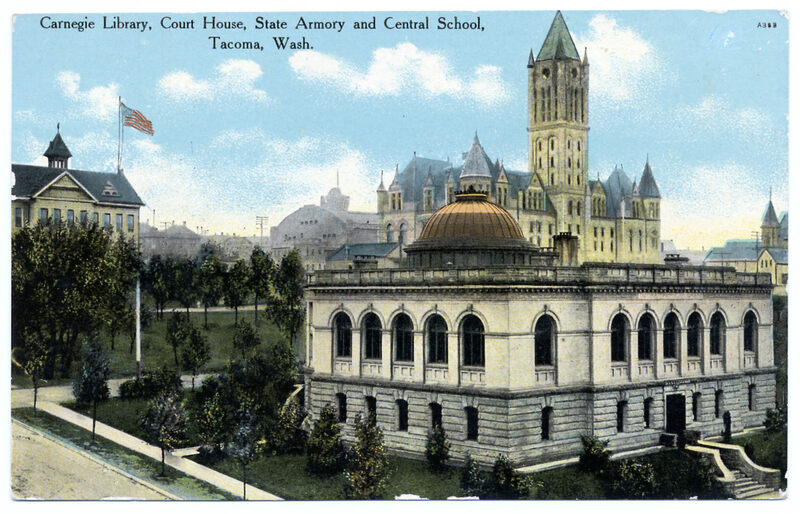 As dance instructor and choreographer, Nancy Jane Bare worked with hundreds of students over the years at Annie Wright Seminary, the University of Puget Sound, and Charles Wright Academy. A graduate of Stadium H.S. in 1935 and the University of Washington in 1939, she studied dance at the Cornish School of the Arts and under Martha Graham. She died, at the age of 85, on May 1, 2002.